Disclaimer: This article is not legal advice and has not been reviewed by a lawyer. These are a collection of suggestions and best practices we’ve compiled from many of our customers. Check with your legal counsel and insurance company for their specific recommendations as it may apply to you or your business. Even the best company drivers can have bad luck on the road and get into an accident. Field employees must be prepared to deal with all of the expensive and time-consuming consequences of a collision, such as injuries, medical bills, insurance paperwork, and vehicle repairs. Even if it’s a minor accident, business drivers should not leave the scene until they have spoken with the police, the other driver, or both. It can be quite overwhelming to think about the aftermath of an accident, so it’s only natural for company drivers to get nervous. They need to remain calm. If they behave erratically while they’re still operating their vehicle after an accident, they may cause another accident. Also, they must not get angry when interacting with the other drivers involved in the collision, as this may lead to a physical confrontation. 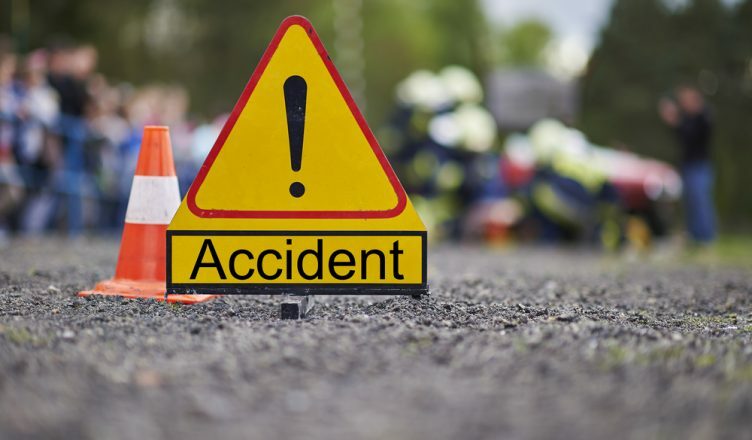 Company drivers should call for medical assistance immediately if anyone involved in the accident is bleeding or has sustained a physical injury. Also, the drivers must wait for medical help to arrive before attempting to move the person or perform emergency aid. Drivers shouldn’t wait a single minute to call the police. If they can’t contact the police themselves, they should ask someone else to do so. Police officers are trained to address traffic infractions and take notes for the incident record. When dealing with the police, drivers must be patient and follow their instructions. Ideally, drivers will be able to move their cars off the road after a collision, but some jurisdictions require vehicles to remain in place after an accident occurs. In this case, drivers should do what they can to prevent traffic from colliding with their vehicles. They need to turn on their emergency lights and place warning triangles or cones around their vehicle so that approaching traffic knows what’s going on. Once police officers have indicated that it’s fine to move the vehicles, the company driver should move the vehicle safely to the side of the road and out of the way of oncoming traffic. For insurance purposes, drivers should only discuss the specifics of their accident with police. Without being impolite, drivers should never admit fault to either the police officer or the other driver, even if their actions caused the crash. After the accident, business drivers should immediately contact their manager and, if applicable, their insurance company as well. If it’s required by their policy, the driver should also file a state vehicle accident report. Obtaining the police report will accelerate the claims process for auto insurance. Drivers should take photographs that show the context of the accident. Pictures should be taken of any relevant traffic lights, road signs, or road conditions. To ensure that an accident doesn’t happen again, business managers and owners need to find out why the accident happened in the first place. Managers should also share safe driving tips with their drivers. A daily route planner with route optimization allows managers to plan accurate and efficient routes in 30 seconds or less. It considers traffic, weather, construction, and other obstacles that can delay your drivers. When you give your company drivers better routes, they won’t need to speed up in order to compensate for delays, which makes them safer on the road. Of course, optimized routes won’t make your drivers safer if they don’t actually follow the routes you give them. That’s why business managers need GPS tracking software. It shows you the location and speed of your drivers in real-time. You can always make sure they’re following your instructions and driving defensively. Also, insurance companies know that GPS tracking makes it less likely that you’ll need to file an insurance claim, so they often offer reduced premiums to companies that use this technology. For more information, check out our article on how GPS tracking can help reduce insurance costs. The best delivery route optimization software also comes with a speed alert feature that notifies managers whenever one of their drivers goes over the speed limit. That way, you don’t need to go digging through tracking data to find this useful information. Safety4Me tracks each field employee’s driving behavior and then assigns customized training lessons based on each field employee’s behavior. For example, if a driver brakes harshly, Safety4Me will automatically assign them a lesson on braking. Everyone on your team will get the exact type of training they need. Here are some more details about this advanced driver training course. To learn more about how a delivery route planner app can help your business drivers avoid collisions, read this article. What photos should company drivers take after an accident? 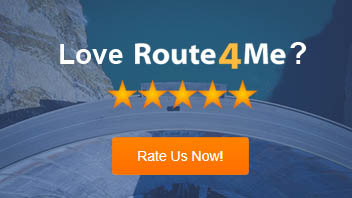 How does route optimization software improve driver safety? How can company drivers prepare themselves for unexpected accidents in advance?